If you have some success on Amazon UK, it makes perfect sense to start selling on other Amazon platforms German, France, Italy and Spain. As they are all integrated with the UK, the process is quite simple that you think. 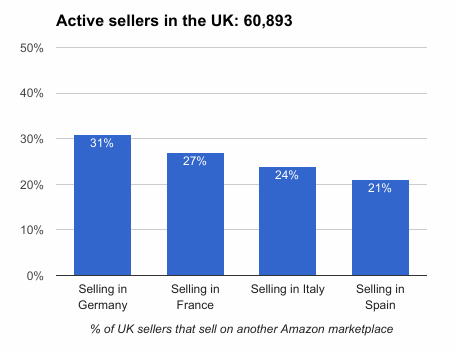 Once your listings are live, use Amazon sponsored ads like in the UK on all these countries. It helps to boost your search placement which otherwise you may have to wait longer. Use Automated ads to start with and then harvest keywords to run targeted manual ads. Here’s a list of Q & A in Amzscout blog.